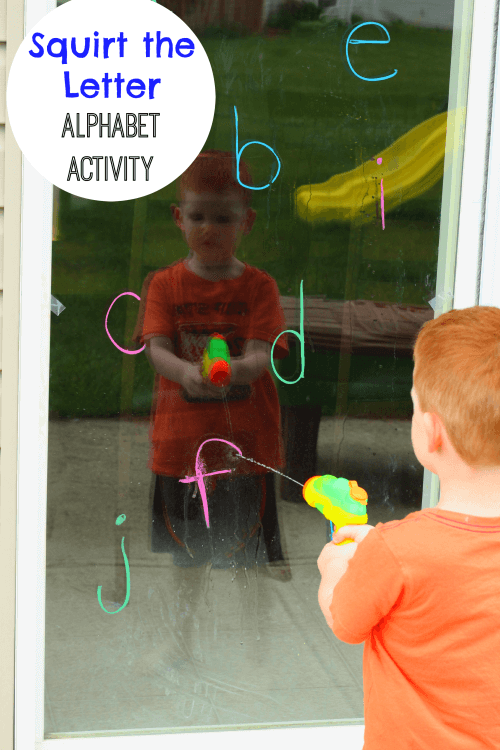 I love to incorporate water and learning during the hot summer months, so this squirt the letter alphabet activity was perfect! It’s easy to play again and again! 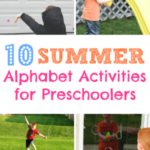 I have been reviewing letter recognition with Evan and I’m always looking for new activities that will really peak his interest in this area. 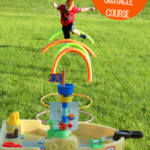 Activities that are fun and don’t seem like learning are my best bet, so I came up with an idea a knew Evan would love. 1. 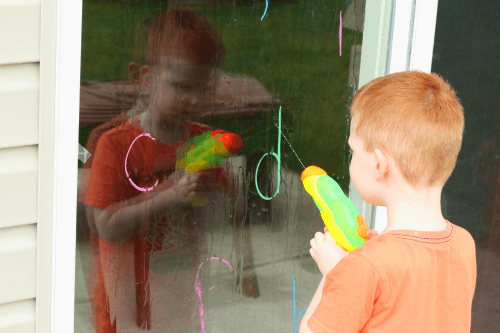 Draw a bunch of letters on the window. I called out a letter and Evan squirted it. I repeated this over and over with each letter. I made the letters large enough that we were able to repeat each letter several times before it was unrecognizable. 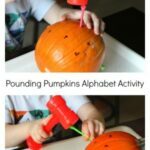 Sometimes, I even asked him what sound a letter made while he was squirting it. 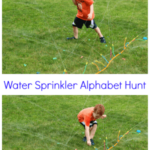 Then I started calling out letter sounds and Evan had to choose the right letter to spray. 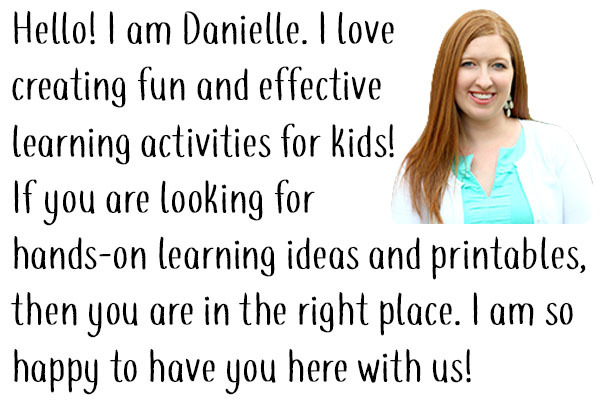 There are so many ways to make this activity work for you! 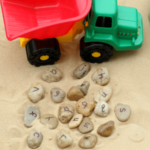 You could even do this with shapes, colors, numbers or sight words! 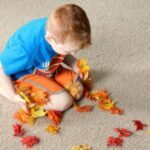 He LOVED this activity and it was super easy to do. I highly recommend!